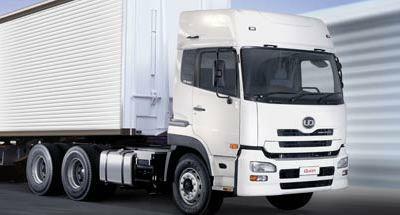 The South African truck market ended 2008 with a total sales volume of 34 664 units. Although this figure is down 2 403 units from 2007’s record-breaking total sales of 37 069, it still represents the second highest annual volume ever recorded by the market. This is according to the National Association of Automobile Manufacturers of South Africa (Naamsa). These results came at the end of a year that started off strongly but came under increasing pressure during the third and fourth quarters due to the unfolding of the global economic crisis. During 2008, sales in the Medium Commercial Vehicle (MCV) segment decreased by more than 20% on 2007’s results, to 12 143. Sales in the Heavy Commercial Vehicle (HCV) segment totaled 6 957 in 2008 – a 7,6% decline on 2007’s performance. On a positive note Extra Heavy Commercial Vehicle (EHCV) sales grew by a modest 7,4% to conclude the year on an all-time record high of 14 056 units, increasing their share of the market to just more than 40%. The bus segment showed a substantial 18,3% growth on 2007 to 1 508 units. Nissan Diesel SA managed to achieve a market share of 13.22% in 2008, recording 4 586 sales during the year. This is compared to the company’s 2007 market share of 13.39%, selling 4 963 units. In the process, Nissan Diesel SA managed to maintain its third position in market share rankings behind Mercedes-Benz (16.98%) and Toyota (15.36%) by make. It is interesting to note that where the total HCV market experienced a more than 8% decline in sales, Nissan Diesel SA increased its market share in this segment to 23,7% from 21,4%. Similarly, in the EHCV segment, Nissan Diesel SA increased its market share to 12.3 % from 13.1 %. Nissan Diesel SA’s total HCV and EHCV market increased from 3 229 units in 2007 to 3 488 in 2008. This is a total of 8% increase. On a global front, Nissan Diesel SA retained its number one position as Nissan Diesel’s top market outside of Japan. “Nissan Diesel South Africa remains a dedicated truck company that aims to provide profitable transport solutions to its customers,” said Masato Takizawa, chief executive of Nissan Diesel South Africa. “During 2008 Nissan Diesel SA once again went above and beyond for all stakeholders in terms advancement and development. To this end, Nissan Diesel launched eight new models of its new Quon range of trucks and invested heavily in improving its parts warehouse, so as to meet increasing parts demand and support as well as improving our manufacturing capacity and increasing productivity by around 15%,” said Johan Richards chief operating officer of Nissan Diesel South Africa. Moreover, Nissan Diesel’s Training Academy saw 1300 students trained, more than 40 technicians qualifying as Master Technicians and two new apprentice-training intakes. “With an array of tailor-made training programmes, being presented both locally and in Japan, Nissan Diesel SA is committed to skills development, and doing their level best to assist in counteracting the current skills shortage within South Africa, and particularly within trucking sector,” said Richards. “We predict a truck market of around 30,000 units during 2009, which is still substantial. Whilst negative factors still exist, there are enough positive factors for us to be cautiously optimistic. The quicker business confidence is instilled the faster we can see a recovery,” continued Richards. “This should, furthermore, serve to ensure the continuing viability of established manufacturers, dealers and suppliers, and allow them to maintain acceptable levels of sales, service and parts support to their customers,” concluded Richards.